You are here: Home / Banking / ICICI Bank’s Money2World : Transfer money to any Bank around the Globe online! 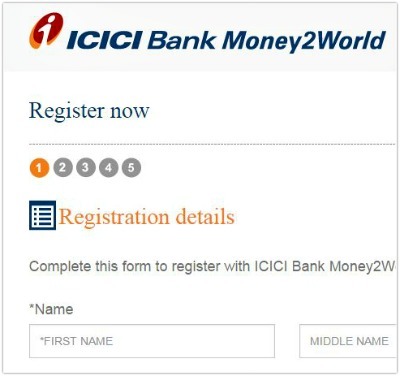 ICICI Bank’s Money2World : Transfer money to any Bank around the Globe online! ICICI Bank has recently launched Money2World, an easy and convenient online outward remittance service. This latest online facility can be used by the Resident Indians for sending money online from India to overseas. Money can be transferred from any Bank in India to any Bank around the globe. ICICI’s Money2World facility claimed to be India’s first fully online service for outward remittances. Non-account holders of ICICI Bank can also use this service to transfer money online from any bank account in India to any bank account overseas in 16 major currencies. An Outward Remittance is a transfer of money in foreign exchange, by a resident in India or an NRI (Non-Resident Indian) to a beneficiary situated within or outside the country (except for Nepal and Bhutan) for a purpose as approved under FEMA (Foreign Exchange Management Act). You may send money abroad to a beneficiary for various purposes including education, employment abroad, emigration, maintenance of close relatives, foreign travel, gifts, medical treatment, donations, etc. This service is available to registered users 24/7 on all days. The registration procedures is simple, easy and online. There is no need to visit a bank branch to fill and submit documents for every money transfer to abroad. You can transfer money abroad for permissible purposes from any bank in India to any Bank around the globe. You can remit up to an equivalent of $25,000 in a financial year through this online platform. You can make online outward remittance at a confirmed exchange rate anytime and anywhere. You can track your money transfer request online based on Transaction Reference Number. Account holders of ICICI Bank both resident and non-resident Indians can use this facility..
How to register for ICICI Bank’s Money2World service? If you are an ICICI Bank account holders then there is no need to register, you may simply log in to ICICI Bank Internet Banking facility to avail this service. 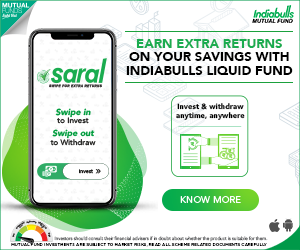 To avail this service you should hold a Savings Account with any Bank in India. If you have savings account with other bank, you can visit ICICI Bank’s money2world page and register (one-time procedure). Click here to visit. After submitting the registration form, you have to ‘validate your registration’. Click here to validate. Once your registration form is validated and accepted, you can login using your credentials. Click here to visit the login page. For transactions made before 3 pm on a working day, the exchange rates offered by the bank would be locked in till 7 pm, and for transactions made after 3 pm, the rate would remain locked till 9:30 am the next day. The service charges are on the higher side. ICICI Bank is charging Rs 750 for each transaction. So, kindly compare these charges with other bankers or money changers before registering for this service. Since the bank is offering you an option to lock the exchange rate, there is every possibility that the exchange rate can also be on a higher side. 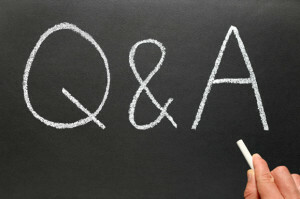 For F.A.Qs on Money2World facility, kindly click here. Ref no to the lady and they will take your 30 min time by holding 5 to 10 Min every 1 minutes interval. at last they will say that they could not find your Transaction ID for them which means that you are not at all done a transaction. they will not give you any service request no for you hold the call for more than 30 min. height of that they all speak like innocents but actually they are teasing and harassing you. you will left no option to move H D F C which is far far better than this.. I created an account and verified all KYC documents. When i login, i cannot see anything other than my profile information. Nothing happens when i click on ‘Tranfer Money’ or any other link in that page. Do you have a Customer Care number for support. I am a non-ICICI customer. Dear Rajesh..Kindly check out this link..
dear sreekanth,i have a doubt?the banks like hdfc,icici,sbi..etco nly in india?does they have branches in overseas countries?if yes? we can transfer it through bank to bank directly without any heavier service charges?is it available? They do have branches. But remember you are transferring rupee to other nation currency. There are certain rules applicable as per RBI (FEMA). Kindly check with your banker for more details. Dear Suresh..Yes, HDFC bank & SBI do offer outward remittance services. But are you sure that their services are fully online ones? ICICI claims money2world to be India’s first fully online outward remittance service.